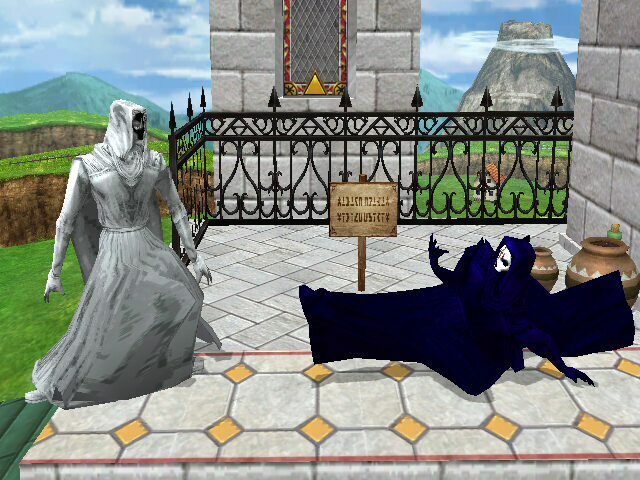 Everyone's favorite edgelord, Reaper from Overwatch joins the Brawl. Soldier 76 from Overwatch joins the Brawl, this time over Snake, because it's only logical. model by Nibroc.Rock over Luigi. The Great Papyrus, what else is there to say? model by Nibroc.Rock over Mario. Sans the Skeleton because it hasn't been done before.... hue. 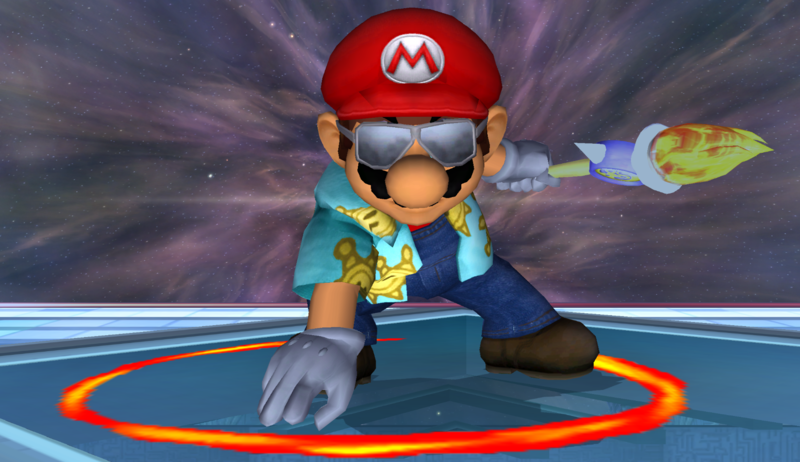 BRAWLEX COMPATIBLES INCLUDED FOR BOTH, vBRAWL AND PROJECT M. SEE README FOR MAXIMUM DETAILS. v3.0 Changes: A ton of balances and buffs, slightly polished models, and changed NairSpecial into what it should've been. 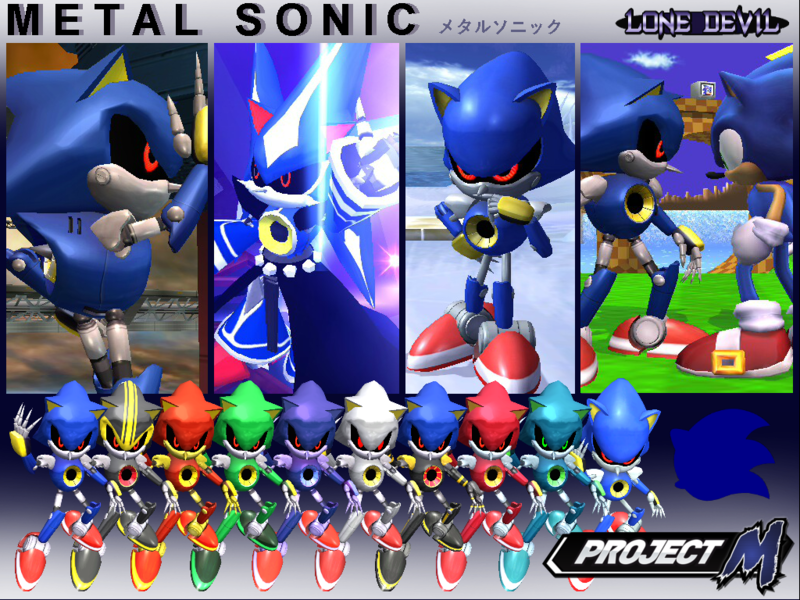 True Modern Metal Sonic over Wolf or for BrawlEx. My model shown here is a custom of Sonic Generations Metal Sonic with mixes of Sonic Adventure 2 Metal Sonic and parts from the god-awful Winter Olympics design (Sonic 4 Model) with slight vertex edits. Basically my vision of what the real Metal Sonic should've look like for the modern era, or at least stayed (*cough* SA2's accurate design). 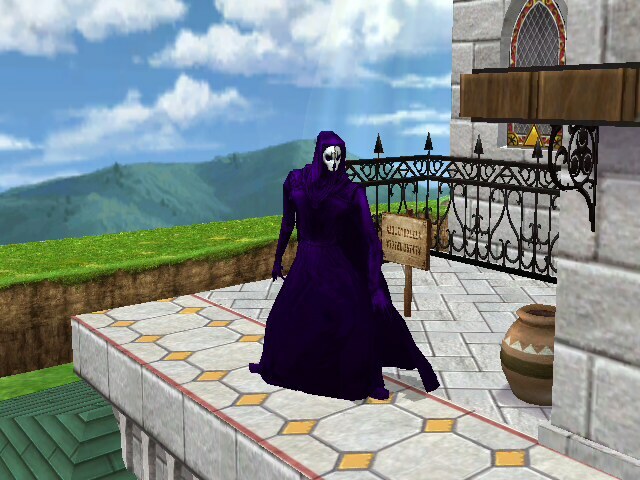 The design also blends rather well with Brawl's, and should also fit in with Smash 3's style (saturated colored textures can do). Enjoy! 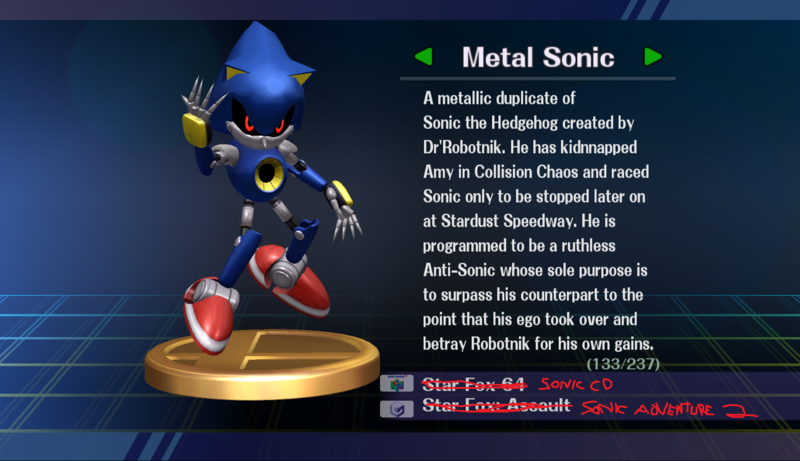 Nibroc-Rock - Neo Metal Sonic model. TheRealHeroOfWinds - Minor scratches & dirt on yellow parts and shoes of Metal Sonic texture. 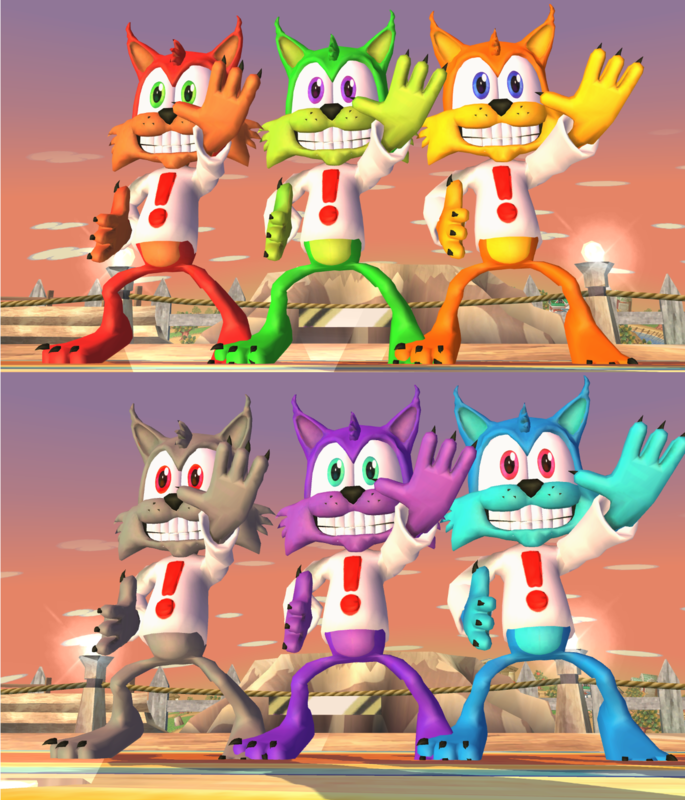 Just some \"quality recolors\" of Darkon360's Bubsy import, with one to go over each of Luigi's original colors. If anyone would like custom recolors of any character, I do take requests, just PM me. Yu Narukami's primary digimon... I mean persona from Persona 4 over Ike, Enjoy. 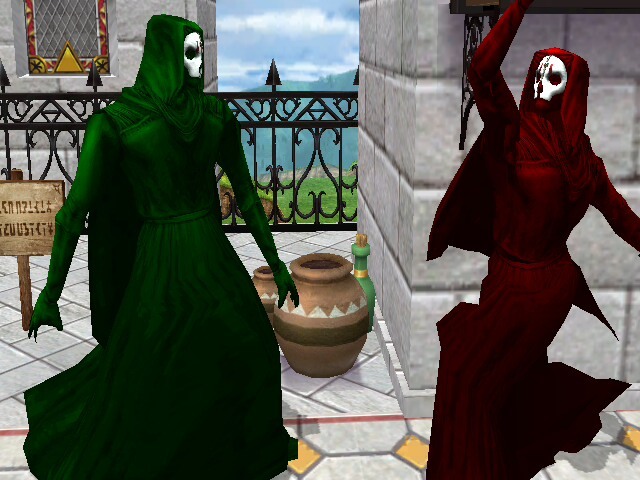 Collab if you're gonna make quality recolors. Bubsy model by Nibroc.Rock over Luigi, Enjoy. From Medabots Infinity over Falco. Comes with shiny materials and FS eyes. Collab me if you're gonna make quality recolors. Sauron from Lord of the Rings over Ganon. Special thanks to Spectator Sly and Ignitex for recently ripping the model from WWE SmackDown! Shut Your Mouth. Stone Cold Steve Austin over Captain Falcon. nWo Hulk Hogan over Captain Falcon. Yoshimitsu from Soul Calibur IV Joins the Brawl. Comes with FS Eyes and everything. Collab me if you're gonna make recolors or even a PSA. Jack from Madworld and Anarchy Reigns joins the Brawl. had a hard time rigging this one, Enjoy. After losing interest in Brawl modding[not that my hacks were good....], then getting sick when i tried to get back into modding for about...a month or 2 with food poisoning...really bad...I make my triumphant return with recolors of, perhaps, My absolute favorite sith! 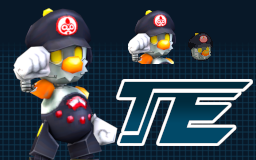 Robo Mario from Mario Kart Arcade GP over Mario. 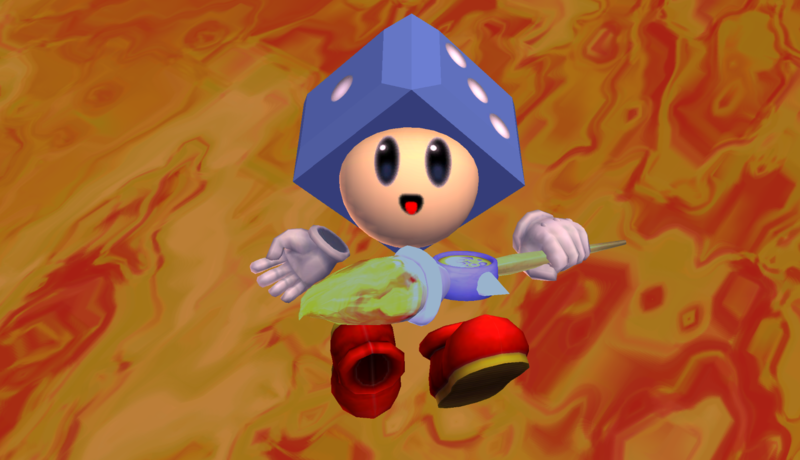 if only he made more appearances in the Mario franchise. Collab + Credit me if you're gonna make recolors. Xenomorph from Aliens vs Predator (PC) over Lucario. Collab + Credit me if you're gonna make recolors or even a PSA. The true N64 Kirby. 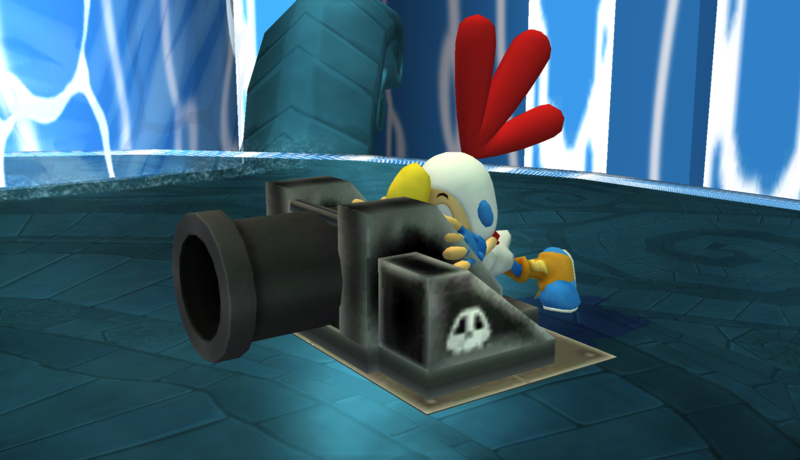 has FS eyes, Metal Texture, and Recolors included. Collab + Credit me if you're gonna make recolors...like if that's even possible with such lack of colors lol. Ratchet with the infamous Marauder Armor from Ratchet Deadlocked/Gladiator over Fox. Collab me if you're gonna make even more recolors. UPDATE: Correctly Optimized + Shiny materials added. Yoshimitsu Joins the Brawl for the first time ever, from Tekken 6. Has physics, FS eyes, and etc, with the exception of using a custom textured katana ripped from Zombie Panic in Wonderland to look more like Yoshimitsu primary weapon from Soul Calibur IV & V but recolored. Sword of the Berserk: Guts' Rage (Dreamcast) over Ganon. A Tribute to one of the most underrated and unappreciated NES game since 1992, Here is Yumetarō (or Gimmick) in 3D for the first time. Page created in 0.258 seconds with 137 queries.